Home » POULTRY » MAPLE SYRUP: DELICIOUS ALERT! Contrary to popular belief SPRING is maple syrup season, not fall. Maple syrup is made from the sap of maple trees and they are tapped in the spring, when the sap starts to flow after a long cold winter. The golden liquid we all love to pour over pancakes is expensive but it’s worth the splurge as the “table syrup” masquerading as the real stuff is just sugar and water and coloring and never ever tastes anywhere near the real stuff. 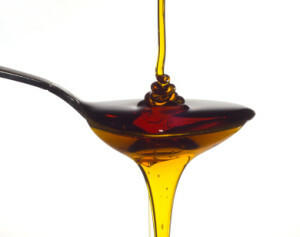 Maple syrup is a much better sweetener than refined sugar as it contains minerals and antioxidants. As with all natural products there a several grades of of maple syrup available but they vary greatly, depending on the country and state of origin. In the United States, maple syrup is either grade A or B with the subgroups of A being Light Amber, Medium Amber and Dark Amber. Group B is just really DARK. Maple syrup really needs to have a hechcher as some of the refining processes utilize non-kosher additives. Finding it with a hechcher and kosher for Pesach is a golden opportunity to take you ho hum chol chomod recipes to a whole new level. I suggest you try substituting it for brown sugar or honey in any of your recipes for a really wonderful new flavor. In bowl combine the grapefruit juice, maple syrup, olive oil, salt and pepper. Whisk to combine and set aside Place the greens, celery, green onions and grapefruit pieces in a salad bowl and mix to combine. Drizzle the dressing over the top and sprinkle the pine nuts or sunflower seeds over the top and serve. Preheat the oven to 425. In a large roasting pan arrange the sweet potato slices close to each other but not overlapping or touching. Drizzle the melted butter or margarine on top of the sweet potatoes and then sprinkle lightly with salt and pepper. Shake the pan so that the potato pieces are coated. Roast for 20 minutes, flip them and sprinkle the cumin and pecans over the top. Drizzle the maple syrup over the top of the potatoes and cook an additional 25 minutes until golden on the outside. Serves 6 to 8. Preheat oven to 400. Grease a 9X13 baking dish and place the chicken pieces in the dish. In a bowl combine the margarine, maple syrup, lemon juice and zest, salt and pepper and mix to combine. Pour 3/4 of the mixture over the chicken and bake, uncovered for 50 to 60 minutes, basting with the remaining liquid every 10 to 15 minutes. Flip the chicken half way through the baking and 10 minutes before the chicken is done top with the almonds. You just want them to be warm and start to toast.. Serves 6 to 8. Preheat oven to 350. Grease a 9 inch square baking dish. Place the cubes of 1 loaf of pound cake in the pan. Sprinkle cream cheese cubes and half of the berries over the bread. Top with remaining pound cake cubes berries. This dish can be prepared in the morning and cooked just before serving.